Happy hump day. A busy few days in my world. Heading away in a couple of weeks and I am counting down the minutes. 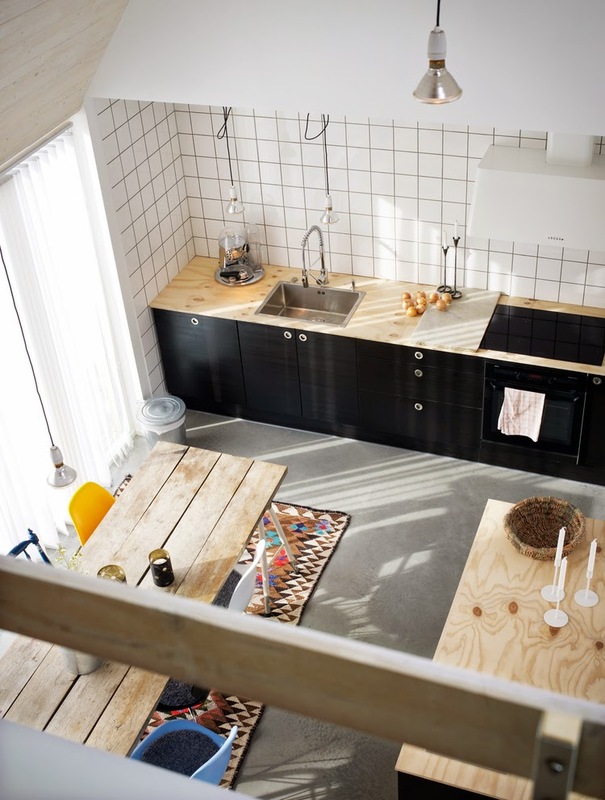 Todays house tour particularly caught my eye because of that rad kitchen dining area. 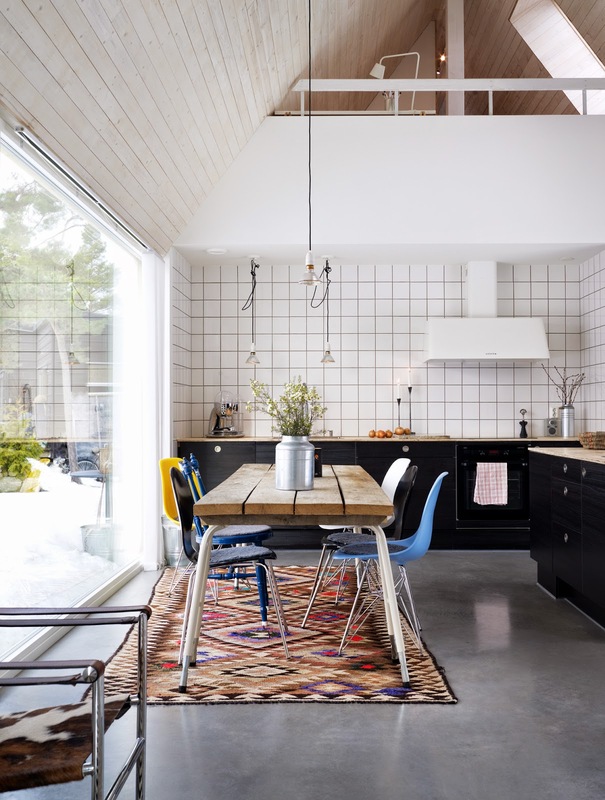 I am a massive fan of the black cabinetry, the kilim rug, that rustic table and those white kitchen tiles. 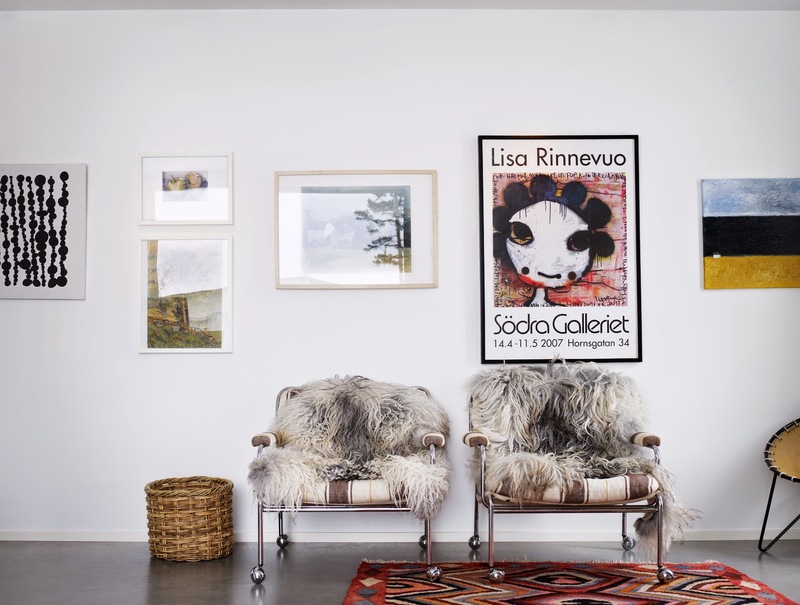 This incredible home was built in just four months and really does do justice to the talented lady, single Mum and Co Founder of Swedish homes company Birkaboo that is behind it all. What is so cool about this home is the fact that they have kept the base simple. 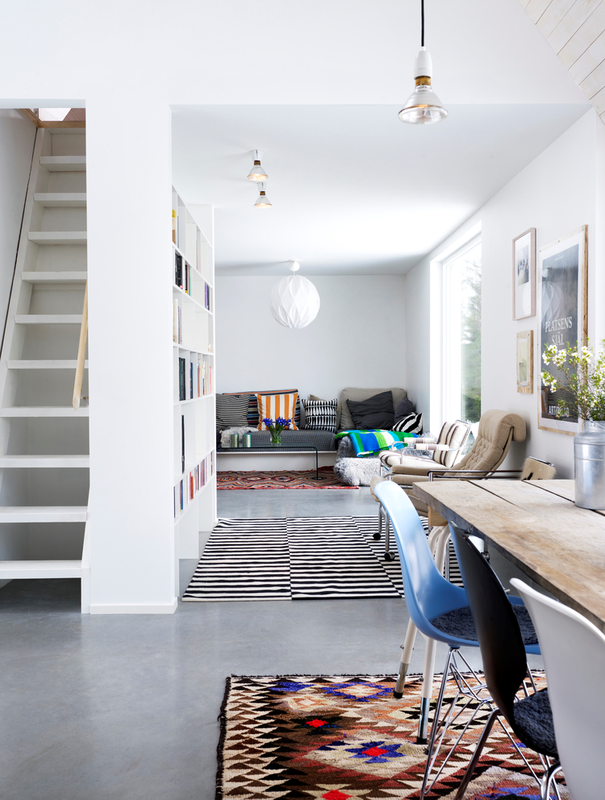 Black, white and concrete and from there added personality such as the gorgeous rugs cushions and artworks. 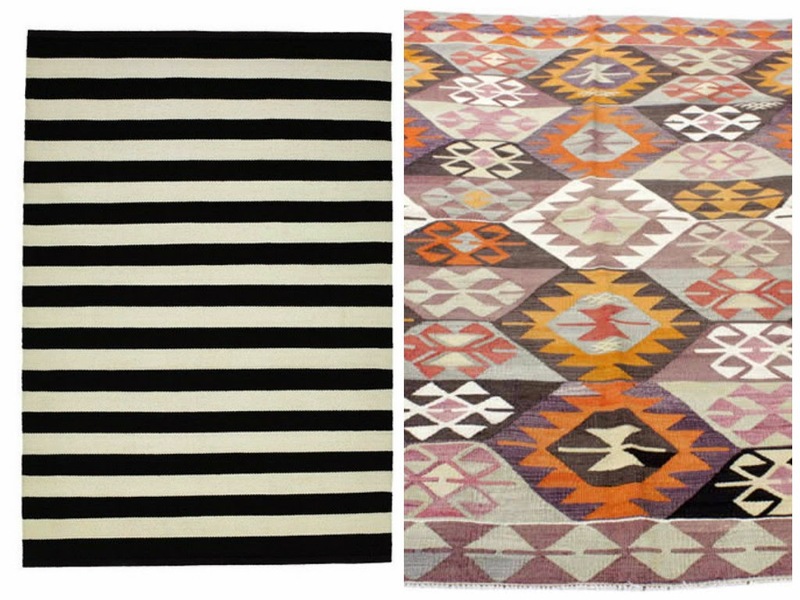 Shop your Kilim rugs here, your black and white striped rug here and the most awesome gorgeous range of cushions here.